Welcome to the wonderful world of Regent College. Here, we are keenly aware of the fact that the years a child spends in secondary school are some of the most critical years in the child’s development and will ultimately become a major influence in the child’s life. Beyond providing world-class education, we strive to instill in our students a keen sense of self worth, a passion for learning and strong positive ambition. Everything – from our careful selection of teachers to the ambient atmosphere of our classrooms and laboratories – is designed to meet this end. Furthermore, we have endeavored to provide value above and beyond the investment made by the parents and guardians of our students in choosing Regent College as their partners in securing their children’s futures. 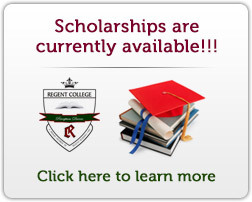 We look forward to seeing you and welcoming you to Regent College – The place where greatness begins.